and delivered with a certificate of authenticity. 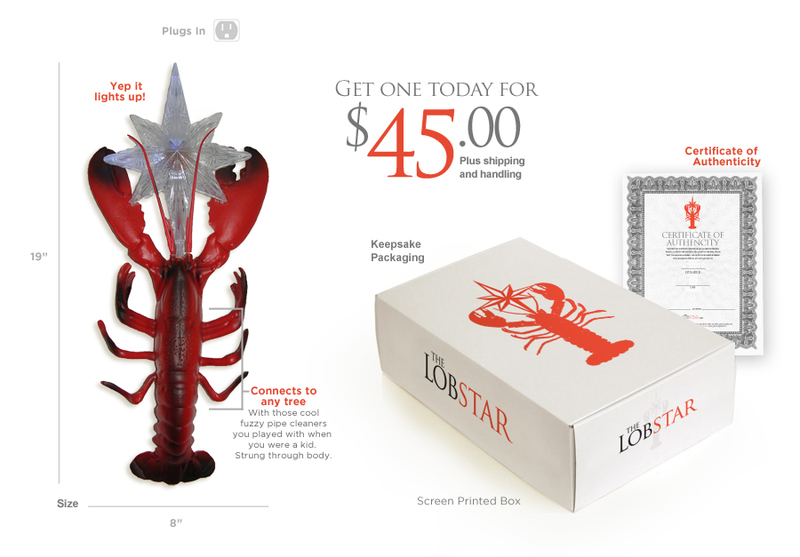 It's never too early to think about a Lobstar. 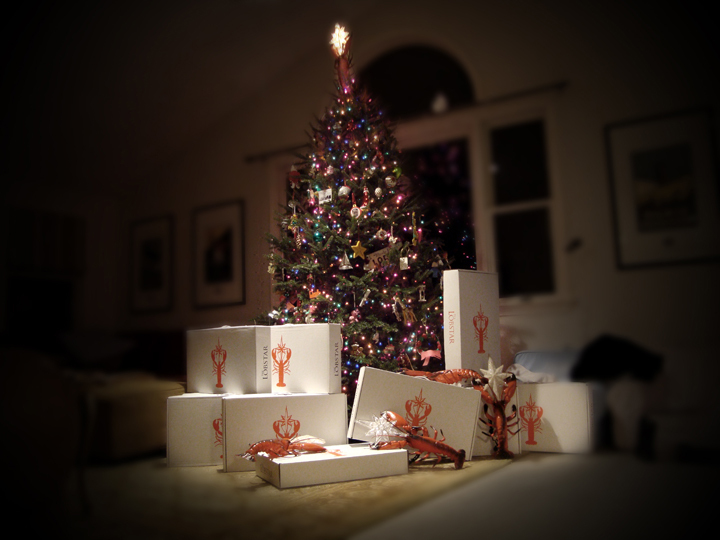 Thank you for all the support.. Have a Merry Christmas from The Lobstar Factory. We are working on scaling up or business let's hope 2016 is the year! 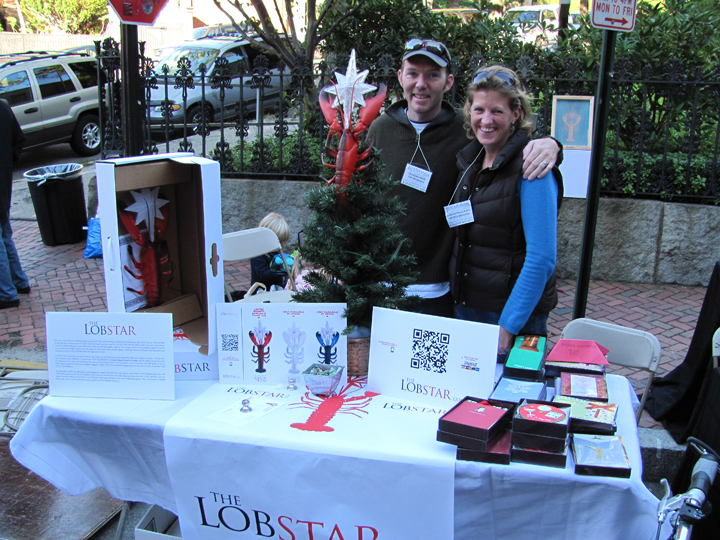 The story of the Lobstar is one that began around 1973. My parents were just starting out, and had just had a little boy, me. 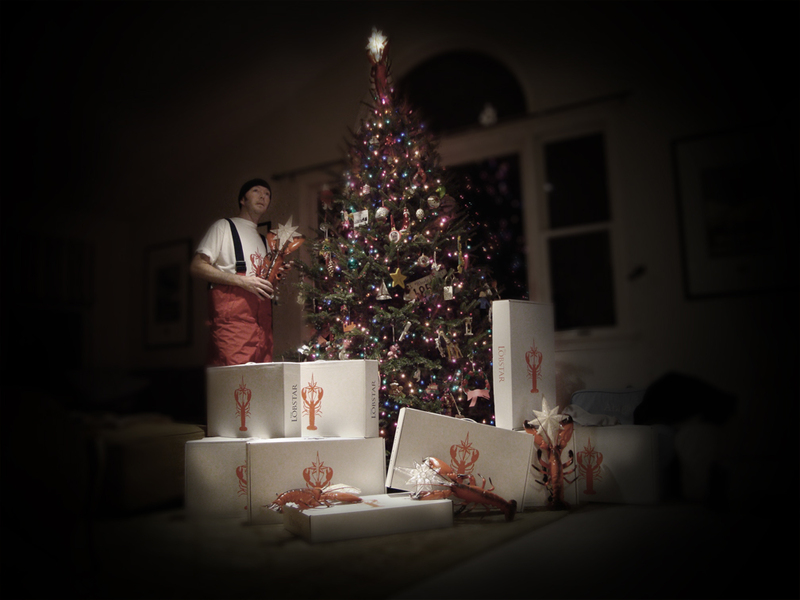 They decided to decorate the christmas tree with shells from the beach and bows, and for the top of the tree my father made a star out of styrofoam covered in tinfoil and glued some ribbon and shells on it, he had made a nativity out of papier maché spray painted it gold, he crafted some homemade dough reindeer that still come out every year. 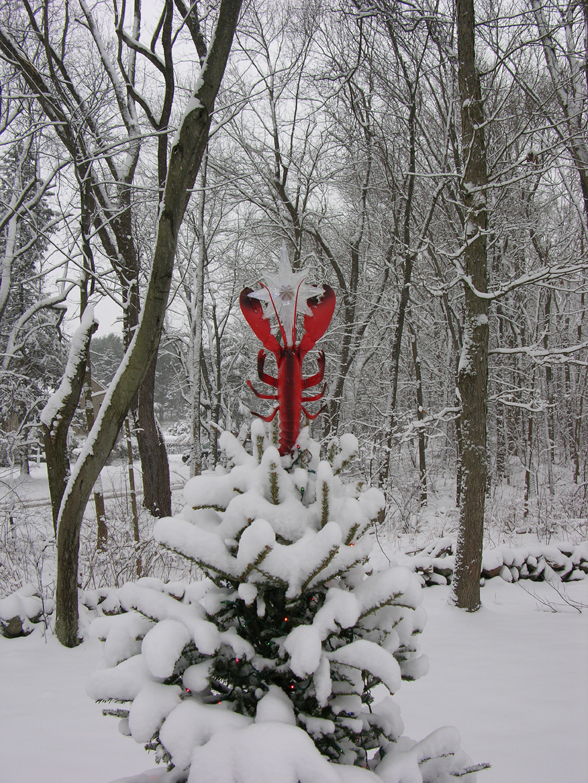 These are the things I remember about Christmas. And that spirit has manifested itself in many different forms throughout our lives. 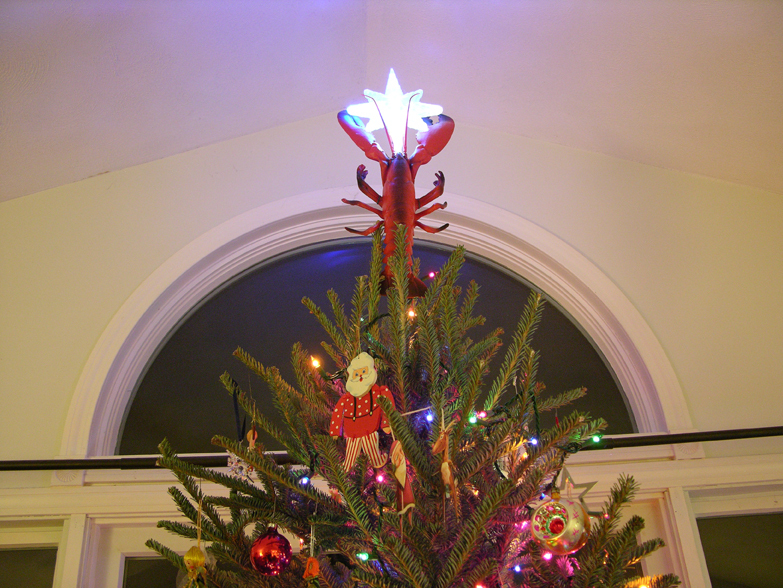 In 1998 in New York City, my wife Catherine and I had our first Christmas party and rather than just a party we made it a bring your own ornament party dubbed Go Ornamental. 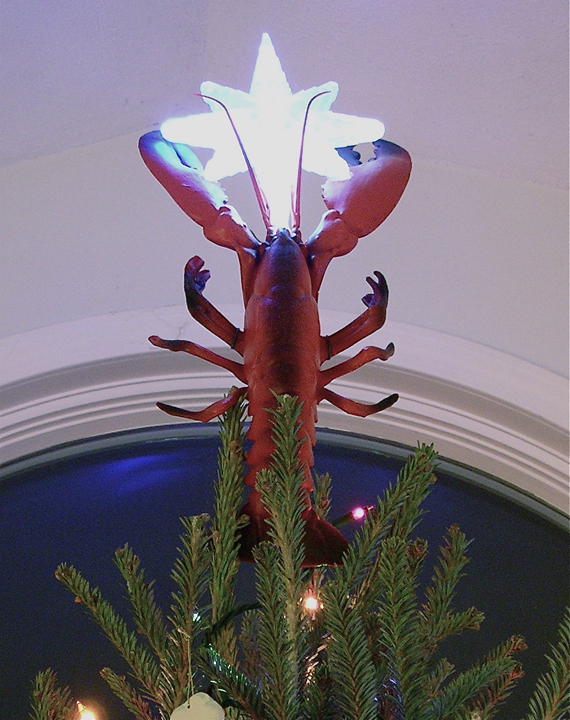 We had graduated from Rhode Island School of Design, and the caliber of creativity that we witnessed thrust upon our Christmas Tree was to say the least eclectic. 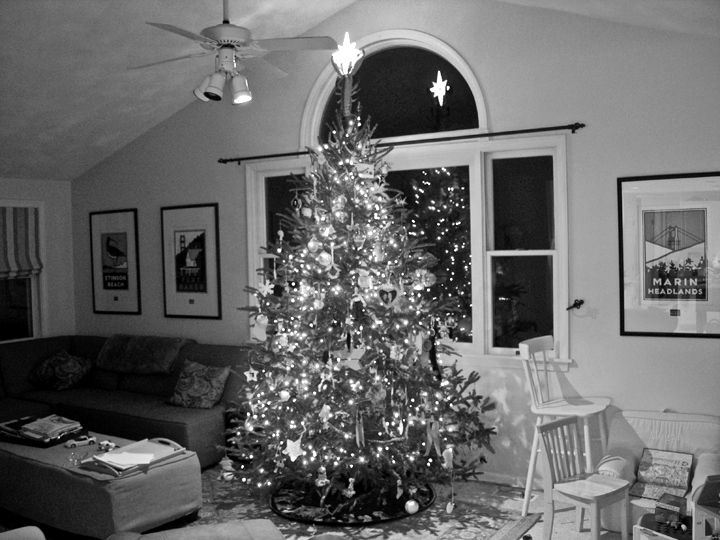 We lived above a florist and they sold fake birds, so we for some reason topped out tree with a chicken wrapped in lights. The partys continued happening over the next 10 years, from New York City to San Francisco. In September of 2006, we welcomed our first daughter Abigail. 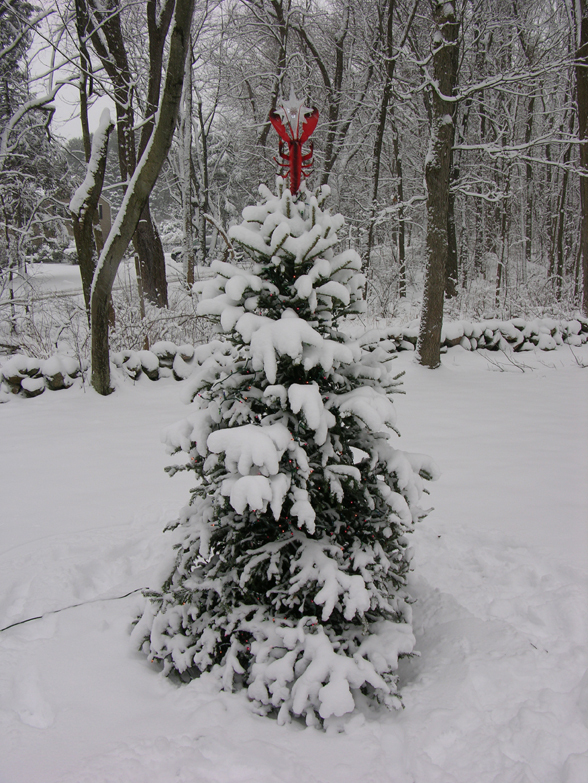 We both felt it was time to return back to New England, and now with a little girl in our lives felt that the chicken on top of the tree would spur some interesting questions from her. 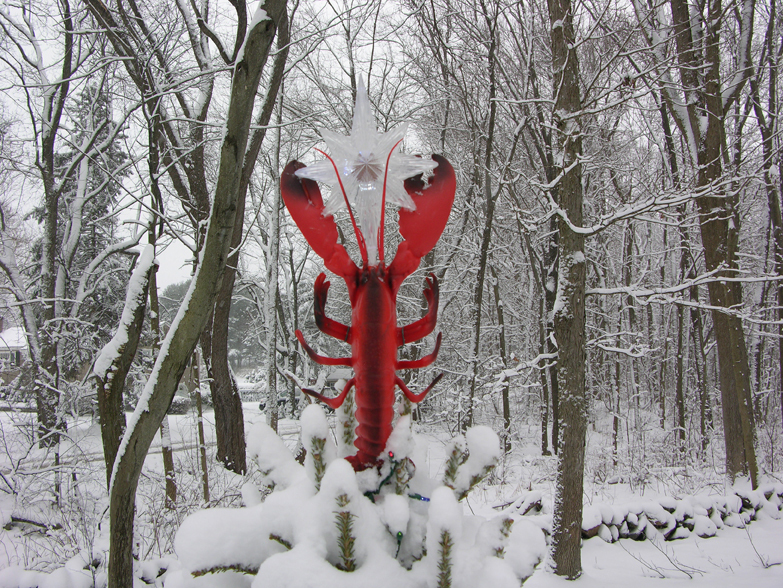 It was time for a new tree topper, one that embraced the history our Christmas Tree's past, but had a little more traditional appeal. 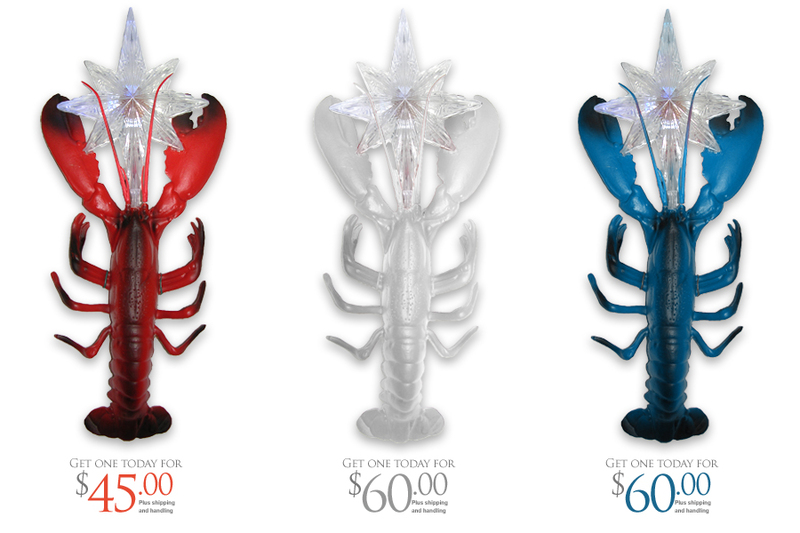 After searching for a lobster that would work, in 2008 all the parts came together and the Lobstar was born.